Sharjah is the only emirate in UAE that has access to both west and east coast of Persian (or Arabian) Gulf. This strategic location is quite helpful for the most important northern emirate and it is using it for financial gain. Around 40% of industries in the UAE are located in Sharjah while it was declared as the Cultural Capital of the Arab World in 1998 by UNESCO. Important administrative and commercial centers are also present in Sharjah. The specific emirate is providing maximum chances for growth of businesses in this healthy business environment with the establishment of several free zones. In one of our previous posts, we discussed about SHAMS, a free zone in Sharjah exclusively for media industry. But few other free zones are also present in the strategic location of Sharjah. 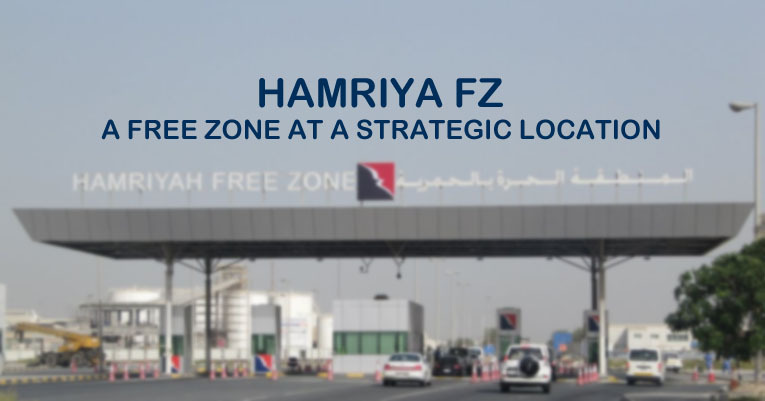 One very important free zone is Hamriyah Free Zone (HFZ). HFZ was established in November 1995. Hamriya is not an ordinary free zone but it is in fact the largest free zone in Sharjah and the second largest in UAE after JAFZA. The free zone is unique as it contains 14 meter deep port and 7 meter deep inner harbor. In contrast to SHAMS and many other free zones, HFZ is not limited to a single type of business but it provides opportunities for several types of businesses to foreign investors, especially in SME sector. There are 3 main zones in HFZ. Hamriyah SME Zone is the main zone in HFZ which is subdivided in 7 zones that include: Oil & Gas Zone (for refinery, petrochemical and power generation industries), Construction World (raw materials & trading companies), Petrochemical zone, Maritime City (ship building, repair, chandlery etc. ), Timber Land (wood based industries), Perfume World (fragrance business) and Steel City. In these 7 sub zones, particular companies can start their businesses without much hurdle. Apart from these sub zones, the Hamriyah SME e-office zone is exclusively for small businesses and professionals including freelancers. Hamriyah Logistic Village is built to take full advantage of the strategic location of Sharjah. It provides best logistic opportunities thanks to the presence of world-class seaport and an international airport with numerous flights from several countries every day. There are more than 200 warehouse units available to cater the needs of logistic companies in the HLV while construction is underway for several more warehouses also. Hamriyah MB Zone provides a cost effective solution for micro-businesses with less than 5 employees. Micro business owners can get greatest benefits of their business in the areas of trading, services and manufacturing. The best strategic location and the specific benefits of free zones (no taxes, 100% repatriation of profits, foreign ownership etc.) makes Hamriyah as one of the best free zones in UAE where businesses are available at a very low cost as compared to the free zones present in prima locations like Dubai and Abu Dhabi. Small and medium entrepreneurs can find their best opportunity by setting up their businesses in HFZ in various sectors. The process of starting a company in HFZ can be made really simple by contacting Riz & Mona Consultancy via our WhatsApp # 971-56-9971225. We have years of experience in establishing businesses in free zones present in Sharjah and other emirates of UAE.